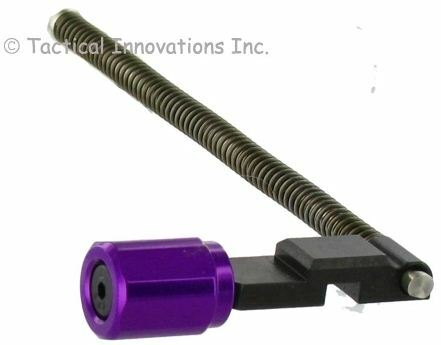 This CNC precision machined grooved charging handle assembly is machined to be a drop in replacement for your Ruger 10/22 factory charging handle. The Hex head provides a non-slip grip while giving your 10/22 a custom look. The Hex head charging handle comes complete with a precision CNC machined stainless steel guide rod and a target recoil spring.